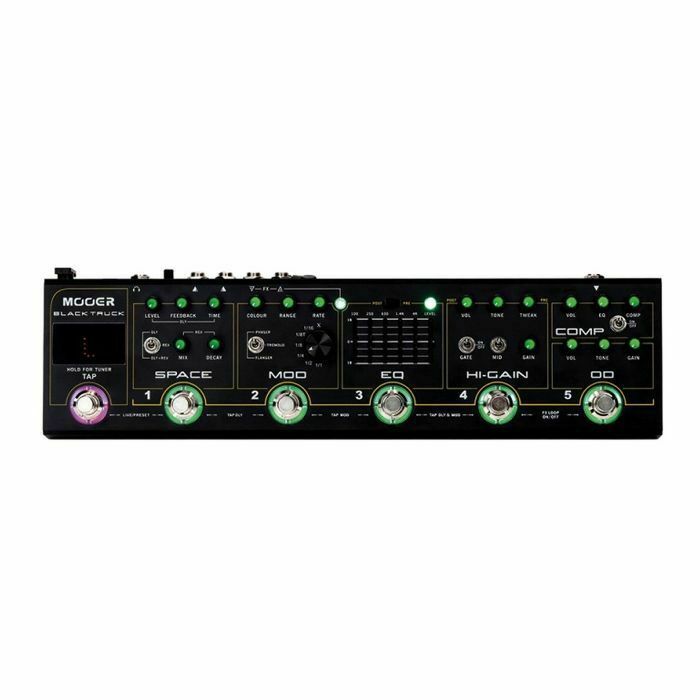 Black Truck combines 6 individual effects pedals, a high precision tuner, an effects loop and a loop switcher, bringing them all together into a single portable unit that's built for the road. Although incredibly versatile and useful as a tool for all styles of music, Black Truck has been designed primarily for hard rock and heavy metal musicians. With this in mind, a carefully selected array of popular analogue pedals from the Mooer Micro Series make up the Compressor, Overdrive and EQ modules. A brand new 'amp like' analogue hi-gain distortion has been developed specifically for this product which, in itself, covers a huge spectrum of tonal possibilities and a wide range of gain. 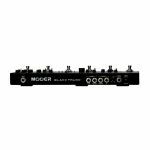 These analogue modules are complemented well by a multi-modulation pedal and a digital ambience engine, simply named Space, which consists of a high-quality digital delay and a stereo reverb. Both of these digital modules are fully controllable by the dedicated tap tempo control footswitch. 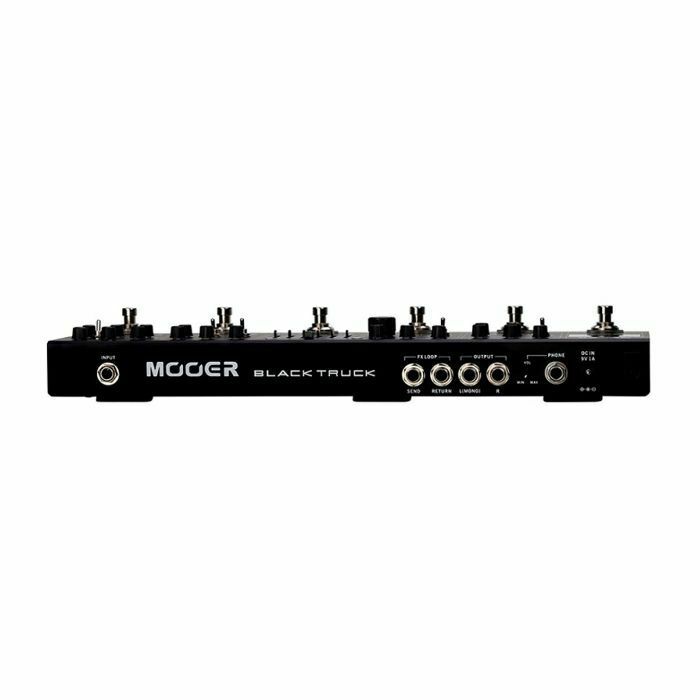 When used in conjunction with the integrated loop switcher, Black Truck can very easily be programmed to provide one step presets. Following a lot of feedback previously from the Red Truck, an independent volume control has been added to the cab simulated output so it can be used simultaneously with the main outputs.